Activision is changing the way that DLC will work for Call of Duty: Black Ops 4, and fans are not thrilled. 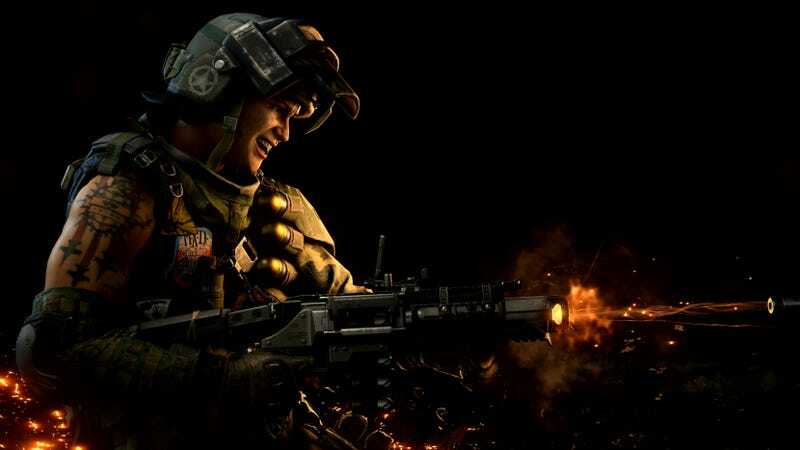 On June 11, Activision announced that Black Ops 4's DLC would be delivered via what it calls the “Black Ops Pass.” While the full details haven’t been revealed, the paid DLC pass will still offer the 12 multiplayer maps and 4 Zombies maps normally included in Call of Duty’s past Season Passes, plus four exclusive character skins for the new “Blackout” battle royale mode and a bonus Zombies map. The biggest change for the new DLC pass will be how the content is delivered. Instead of the content being broken up into four separate map packs, players can expect DLC to be distributed throughout the year. Releasing DLC on a more regular cadence is probably a good idea, keeping Black Ops 4 competitive with constantly-updated competitors like Fortnite. But it’s the rest of it that has players rankled. Paid DLC maps split the playerbase in a terrible way that makes the optional content a disservice to everyone who plays. Players who shell out the money for the extra maps often can’t find the DLC maps in normal game mode rotation, or their party vibes are killed because their friends don’t have the content to join them. I’m sure every map pack owner has been in the awkward situation of being in a full party of friends, and there is always that one friend who doesn’t have the DLC maps. Do you kick them from the party to play the DLC or continue to play the standard maps together? I previously reported this was a huge problem with Call of Duty: Infinite Warfare, but this is a common issue with games that offer paid map packs. Rather than fix this issue with Black Ops 4, it seems like Activision is just going to add a further sour taste to the DLC dilemma by not making the Black Ops Pass available as a standalone purchase or pre-order at this time. In the past, players were able to buy the Call of Duty Season Pass for $49.99 or individual map packs for $14.99 each. The Activision Support page has listed the Black Ops Pass as being available as a standalone purchase at a later date, meaning there’s no way of knowing when the DLC can be purchased separately. This all-or-nothing approach forces those not boycotting Black Ops 4 to spend at least $99.99 on special edition bundles in order to guarantee they’ll have the DLC when it becomes available, adding another $40 to the game’s sticker price. Compounding the problem is the fact that Activision is moving in a different direction than the rest of the industry. Fortnite’s model of free content with the option to pay for skins and accessories has proven to be such a success that some big publishers are finally starting to get on board with the concept. Electronic Arts said this week that the upcoming Battlefield V will ditch the paid Premium Pass model to offer free DLC for everyone, and give players the option to buy cosmetics. Ubisoft also made an E3 announcement that The Division 2 will have completely free DLC, ditching the paid pass from the first game. When reached for comment by Kotaku on Thursday, an Activision representative referred us to its FAQ page on the subject.